Doreen Spicer-Dannelly may be a new name in children’s literature, but for a long time she has created wonderful programs for kids. The Proud Family. Her. Jump In! Her again. The Wannabes. You got it. It’s exciting that she’s now a middle-grade author. 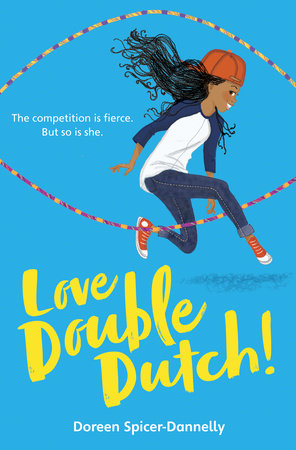 Her debut, Love Double Dutch, is a fast-paced story of sisterhood, collaboration and competition, empowerment, faith and finding your inner shine. It follows Brooklyn girl MaKayla to a summer in Charlotte that becomes a journey of self-discovery. This sweet read hits shelves on April 3 and has already landed on School Library Journal’s list of 18 2018 Middle Grade Books to Have on Your Radar. The launch of Love Double Dutch will kick off a national tour. Along with having readings, photo ops and signings, Doreen has teamed up with the National Double Dutch League: “Kids will learn social skills, teamwork and yes, they will learn how to jump Dutch,” she says in a video promo for the kick off at her alma mater, Morgan State University. When I set out to become a writer in entertainment, I thought television and possibly film would be the extent of it. Never did I fathom becoming an author. Now, I couldn’t be more excited to see the reception and future of Love Double Dutch. The idea to pen a middle-grade novel came about when an author friend of mine, L. Divine, Drama High series, introduced me to Regina Brooks, Serendipity Lit Agency. Regina asked me if I had any stories to which I told her I had a thought to make my favorite childhood past time, Double Dutch, into a feature film one day but it can easily be turned into a novel. Once I pitched her the story, she liked it and immediately thought of publishers who might be interested since it filled a void of stories about, and for young African American girls. She had me at “I like it,” then said, “But you’ll have to get me a manuscript before I pitch to anyone.” Ugh. Having written for television, I’m used to nothing happening over night so I puttered around with the idea because I wasn’t sure I was ready for the manuscript process since I had never written a novel, nor did I fancy myself an author. However adding “author” to my list of accomplishments sounded kind of nice. And I thought there’s no more profound impact or way of inspiring a child’s imagination than through a cherished novel. Regina was kind enough to call me off and on for months to gently remind me she was waiting for a completed manuscript. Even though writing a middle-grade novel was right on purpose for me, I shunned the idea of toiling over a manuscript and moreover, possible rejection. But once I got start, I couldn’t stop. Check out the Love Double Dutch book tour promo, https://youtu.be/q-7F_fnCvds. It was made specifically for her alma mater Morgan State University, but is a window into her vision. Love Double Dutch is not just a book, it’s a movement. beginning.’ After many rounds of rewrites and several months later, Regina finally felt we were ready to release the baby to publishers. I received two or three rejections, which made me sad until she said, “Random House made an offer!” I was ecstatic. More so, because I quickly envisioned girls and boy curled up with the book absorbing the wisdom I tucked in between the lines. With Random House, it was another few rounds of rewrites and I am so happy for it. As I was encouraged to finesse the story more and more, I could only feel the novel becoming that much more special, if I may. And to top it off, the award-winning artist, Vanessa Brantley Newton agreed to grace the cover! Now with a fully completed middle-grade novel about MaKayla, a young girl who uses Double Dutch as her vice to cope with family issues, has galvanized a community ready to promote the book. Thus far, it’s exceeding my dreams of becoming a bona fide author of a middle grade novel. My hope is that Love Double Dutch will go down in history as a story the encouraged kids to face their fears with confidence knowing they have the power to grow through any challenge. When I think back to the books that influenced my character and psyche, I realized how reading is truly an intimate experience. I automatically recall several novel for different reasons. My first introduction to the joy of reading was through the Peanuts gang collection. Charles Schulz’s stories taught me the importance of friendship and how personalities relate or clash. (Sidebar: My collection was stolen during a move in the 80’s and although I was in high school I was devastated.) I credit Judy Blume for validating that having a spiritual relationship with God was not weird, but very okay in Are You There God It’s Me Margaret. And The Alchemist further interested me ideologies of universal law and self-discovery. And last but not least, Omar Tyree brought nostalgia regarding my teenage years with Flyy Girl, which I absolutely love to this day. As an artist, I only share stories, a slice of life, a script, or a short film based on what I truly feel passionate about or that’s bursting inside of me in hopes that it might resonate and possibly help someone in their journey. Artistry can be selfish or self-serving, but as an entertainment writer I also create with the audience in mind. Not trying to please them but to encourage or challenge their point of view. Once I’ve finally made a decision to realize this idea, to birth this baby, I begin writing a skeleton of the story, a ‘beat sheet’ is what we call in TV writing. Then, a full outline highlighting the real memorable nuggets, the take-aways if you will. Sometimes, I mull the story in mind for days maybe even years before I even put it on paper. And I’ll write when I feel it. I’ll write in my office, bedroom, at the kitchen table, living room but I love going to coffee shops because there’s life there and great energy in some. Writing can be a very solitary occupation so being in the mix with strangers does wonders for my spirit. Then I’ll write and rewrite and be open to the criticisms from others. All opinions are welcome because it lets me know if I’ve struck a chord or not with readers. If writers finds themselves on the defensive end too much then either they’re not telling their story clearly or the readers just don’t like what they’re conveying. It’s the writer’s choice to rethink the story or leave it as is. The beauty of writing is you can write whatever you want. What isn’t pretty is when no one cares for your story. Then you have to ask the question: Do you want a career in writing or is this a hobby that you don’t care to share? I want to keep my career so I write from the heart of past and present experiences with the belief that my stories might strike a social or personal chord with many. I equate success with how I’ve positively changed someone’s life. So when I get fan mail, an email, an Instagram pic, a Facebook message, a tweet from someone who loved one of my projects because it brought them joy or it made them believe in themselves or stopped them from dropping out of school, THAT makes me feel success. I believe God gave me talent for just that purpose, to inspire and entertain others to create positive change. So yes, I am very proud of my television career and shows I’ve developed and created and I am super excited about all of my projects going forth. Love Double Dutch was such an unexpected work that I had no idea would ever happen. I do have to admit that I always kind of want to make this film idea into a book. Now, my hope is that some young girl or boy will say some of the same things I’ve said about the author who inspired me. I’m also crazy excited about my book tour because I’ve teamed up with the National Double Dutch League to introduce kids to the joy of jumping. I am, of course, very proud to be recognized by Brown Bookshelf especially since I never fancied myself to become an author and to finally have a book, as an African American and Puerto Rican woman, I am happy to be a part of the campaign with Love Double Dutch. This means the world to me, to be recognized by this force of an organization. 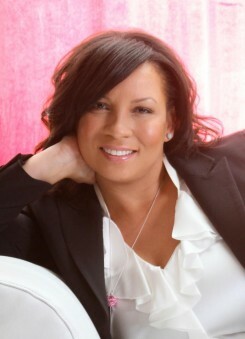 Author, Kamichi Jackson (K, My Name is Kendall) is an author who I believe is a rising star. She leads her reader down a subtle yet interesting path luring you into the den of story explosiveness. Kamichi is a bright individual with a zest for reading and creating. I am excited about her future as an author. First, when I heard that African American kids aren’t as avid readers as their counterparts, I wasn’t shocked because they don’t have books that speak to them, about their everyday heroes, or some can’t sometimes imagine themselves as the heroes of most of the stories. Secondly, when I learned there are far less books written for black boys (with black boys on the cover) then even black girls, there’s no wonder there’s low self-esteem and the bar for role models is mostly that of sport players and entertainers. That’s too limiting. Thirdly, when I learned that the majority of the books for black children are written by white authors again, I was shocked. I am grateful to the white writers who tried to make a difference but I’m happy the secret is out. Now, other talented writers of color can also contribute to making a difference. I believe a balance is what is truly needed. We authors need to speak to the consciousness of today’s child from white to black and every race in between, while keeping inclusiveness in mind. It is the best way for all children to achieve a healthy moral and social compass, which can only be good for everyone. That’s my humble opinion. SO many of us loved Doreen Spicer-Dannelly’s television offerings, so it’s great to see her cross over into children’s lit on paper. Looking forward to seeing her really shine in this industry. I am honored that Doreen would mention me in her interview. She’s an awesome person and I’m so proud that she is sharing her stories in yet another way. Kudos to her!